Danville, VA emergency dentists offer emergency services in the case of an accidental dental injury. It is crucial in a dental emergency to contact a Danville, VA emergency dentist immediately following a dental injury. A few hours could make all the difference in saving or losing a tooth. Not to mention, some dental injuries can be excruciatingly painful. Danville, VA emergency dentists help to alleviate dental pain, fix your dental issue, and possibly even make you a lifelong patient. 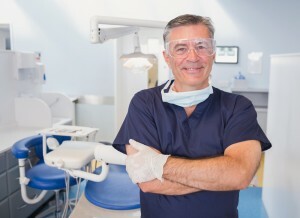 24 hour dentists in Danville, VA are available. They offer emergency dental services for patients of all ages. While they may be difficult to find, we can help you find the emergency dental services you need from a Danville, VA 24 hour dentist. 24 hour Danville, VA dentists offer services for broken teeth, chipped teeth, cracked teeth, knoscked out teeth, trauma caused to the mouth and gums, and many more services. Emergency tooth extraction services are also offered. Description Call our Danville referral service Emergency Dentists USA phone number and get connected to an emergency dentist in Danville, VA in seconds! We provide a service that will get you to the dentist that fastest and easiest way possible, you can call us 24 hours a day, 7 days a week and its 100% free! Kool Smiles offers dentist and oral surgery procedures They are open six days a week and are open later than many dental offices to accommodate al schedules. They offer a vast array of dental services and are prepared for any type of dental emergency. They accept many form of insurance and are an excellent choice for those in need of emergency pediatric dental care in Danville, VA.
Open six days a week, this dental office strives to help you smile your most confident smile. They offer a large range of dental services, including emergency dental services. They offer professional, experienced results and are ready to assist in any dental emergency. Even in a dental emergency, it is important to find an emergency dentist that accepts your insurance so you do not incur astronomical fees. Rose Satterfield accepts many major dental insurances. This dental office may only be open four days a week for normal dentistry appointment, but they are open 24/7 for emergencies. This is the perfect emergency dental office for those that are injured after hours. Dr. Helton is a caring dentist that offers traditional dental services, emergency dental services, and volunteers her services as well for the less fortunate. Be prepared when you go to your emergency dental appointment at your Danville, VA emergency dental clinic. Bring your insurance card and payment for the visit at your local emergency dental clinic visit in Danville, VA. If you cannot afford the appointment, call ahead to find out about payment options and financing options. Many emergency dental providers in Danville, VA offer flexible payment options. Bring a driver with you in case you need a major dental procedure such as emergency tooth extraction services that require dental anesthesia. Choosing the correct walk in dentist in Danville, VA can be difficult in a dental emergency situation, especially if you are in excruciating pain Danville, VA walk in dentists an be found on your local dental society website. You can find all essential information and background information on dental providers. You can alo be prepared and have an walk in dentist in Danville, VA already chosen and on speed dial.